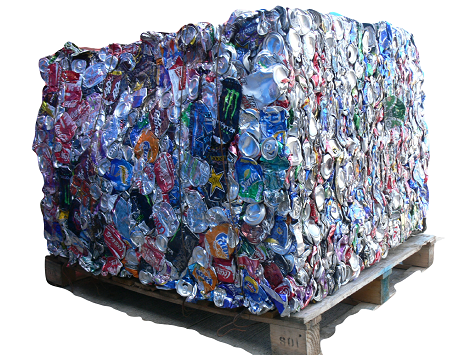 We began a project 4 weeks ago to collect 26,000 aluminium cans. The reason for this is to make a large can bale to sell it to a recycler and then donate the money raised to CLIC Sargent. 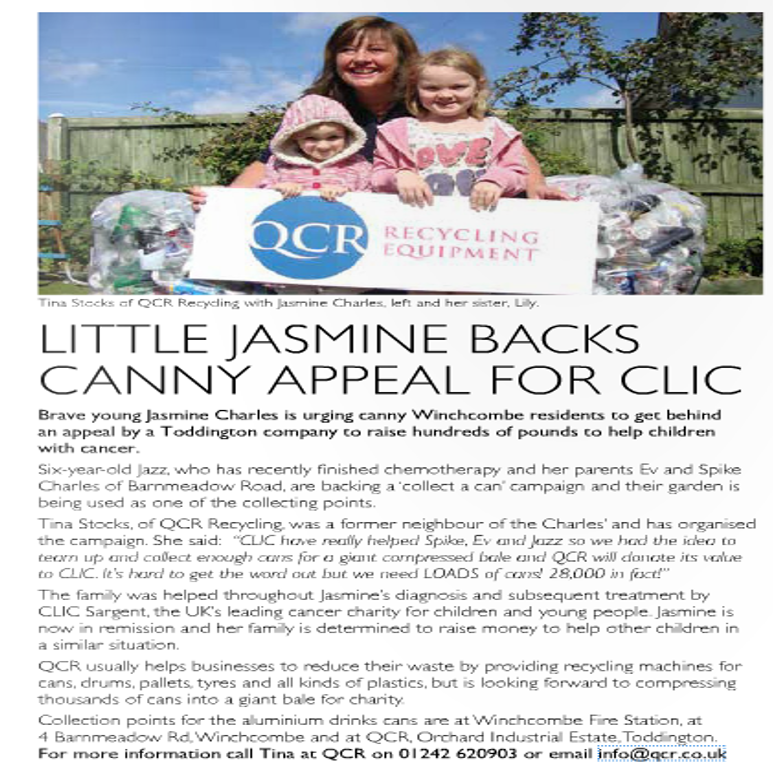 CLIC Sargent have bee n a massive support to local Winchcombe girl Jazz and her family since her cancer diagnosis. Jazz is just 6 years old and has been incredible brave and strong throughout her treatment. To help us collect the 26,000 cans needed to create a can bale we have been asking local residence to save their drinks cans and drop them off at 3 collections points. Seeing our posters, the Winchcombe Life magazine asked us if we would like an article written on the fund raiser. Of course we did. QCR’s Sales and Marketing Co-ordinator, Tina Stocks, spoke to the magazine and was photographed in the article with Jazz and her sister and what a lovely photo it is too. To donate your cans please drop them at Winchcombe fire station, at 4 Barnmeadow Road, Winchcombe or at QCR’s head office, Orchard Industrial Estate, Toddington.